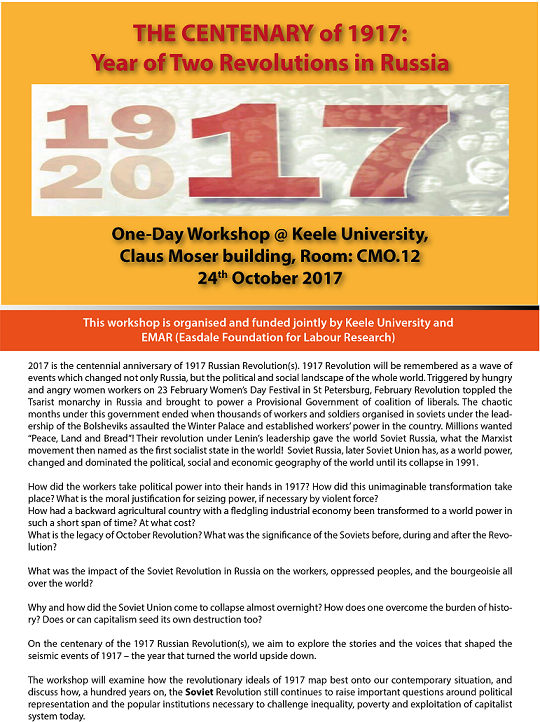 EMAR (Easdale Foundation for Labour Research), is a London-based non-profit organization dedicated to promoting social justice and equality through innovative educational and developmental programmes on labour movements by actively supporting research in the history and politics of working class movements. 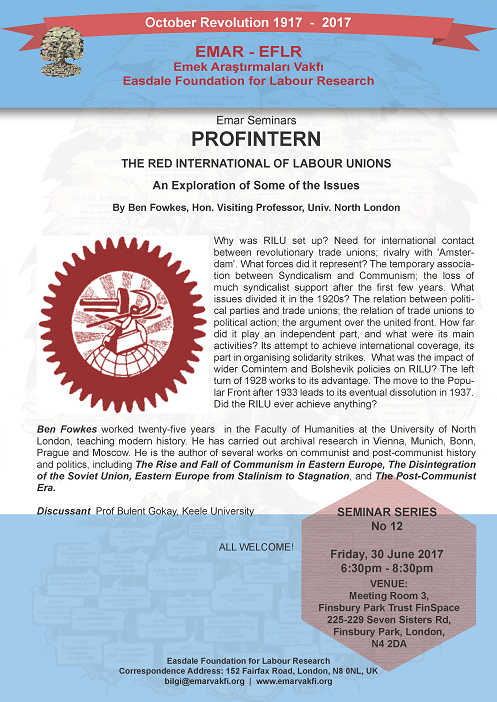 We at EMAR Foundation for Labour Research, London, UK, support and endorse this letter below. It has already been signed by hundreds of distinguished intellectuals from academic centres all over the Europe and wider world. 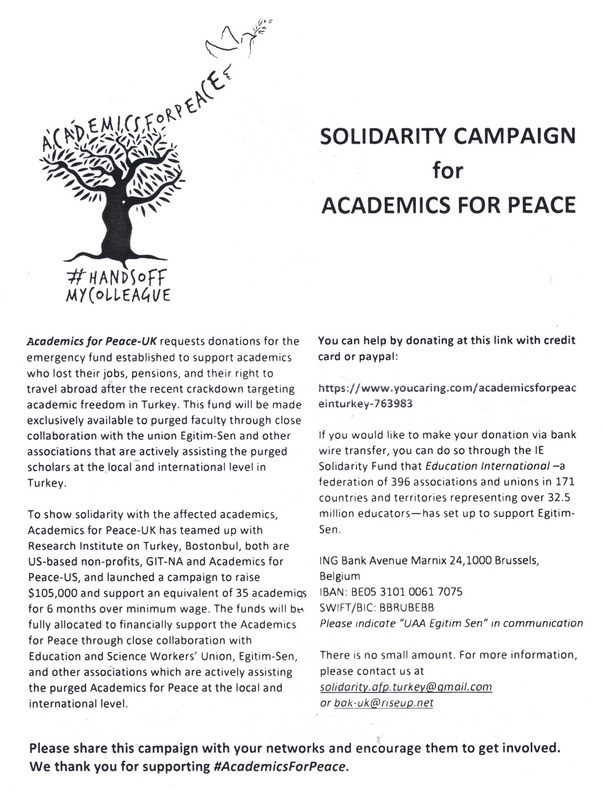 As members of academic communities around the world, we strongly oppose the recent arrests and harassment of students at Boğaziçi University in Istanbul, Turkey. On March 19, 2018, students demonstrated against a campus event supporting the Turkish soldiers who fought in the invasion of Afrin, Syria, which was organized by the Society for Islamic Research (İslam Araştırmaları Kulübü). The arrests on campus, as well as subsequent police raids of student homes and dormitories, continue a disturbing trend of criminalizing political speech and dissent in Turkey. President Recep Tayyip Erdoğan has cynically referred to these students as “terrorists”, vowed to expel them from Boğaziçi University, and to deny them the right to study at any other university. We have heard this kind of verbal attack from Erdoğan before and it was followed by the detention of thousands of academics, journalists, artists, and human rights advocates. We in EMAR Wish You a Happy New Year! 207 health professionals, academics, and researchers, and representatives of 25 health and human rights organisations from many countries have published a Statement in the professional Lancet Bulletin (Published Online July 27, 2017 http://dx.doi.org/10.1016/S0140-6736(17)32093-7) protesting against the latest practices of Erdogan Regime in Turkey. We have updated the latest figures on the public employees and their organizations in Service Branches (22.08.2017) based on the recent publication of State Statistics Institution (TUIK)... Full text..
Seminar by PhD candidate Ayse Arslan was interesting and full of discussions. 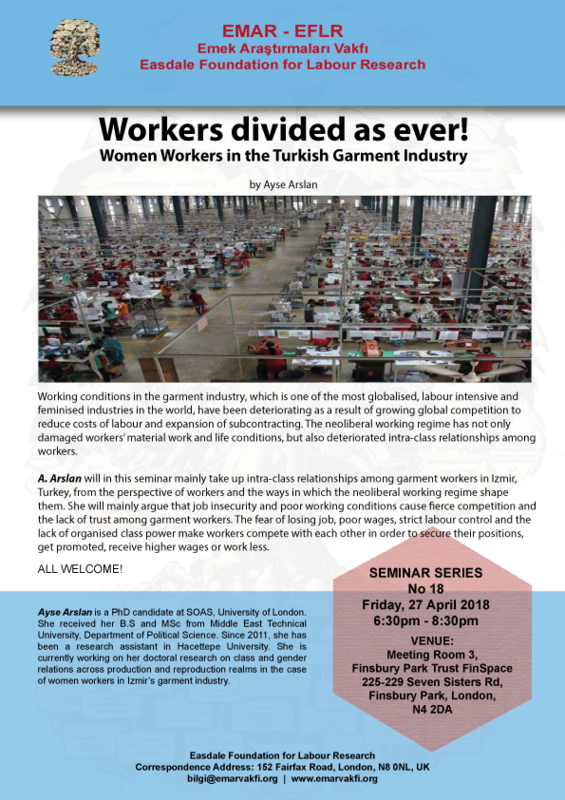 Ayse told us about the interviews she made with the workers from the textile workshops and a textile factory where she had worked within the framework of her thesis. She conveyed her views on the creation and shaping of the horizontal and vertical relations between the employees at work places. 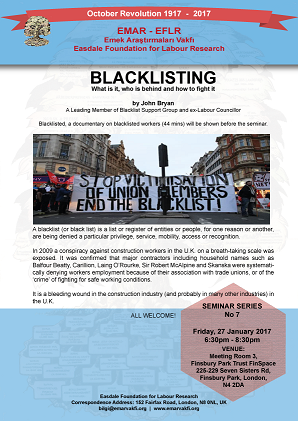 She commented on how the intra-workplace relations have been influenced by the fears of loss of job and worries about vocational progress as they also faced the lack of social security at these mostly illegal workplaces, which usually have dismal H&S records as well as low wage profiles. Discussions followed the seminar; some workers from the audience expressed their views, mentioning their experiences from both Turkey and the UK. 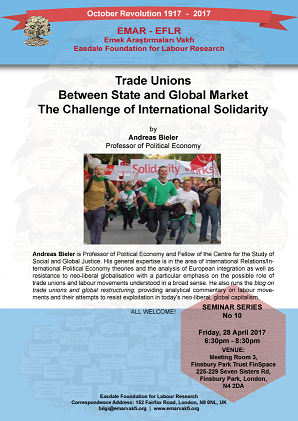 They pointed to the fact that the real issues for workers remain essentially the same even if the countries differ. 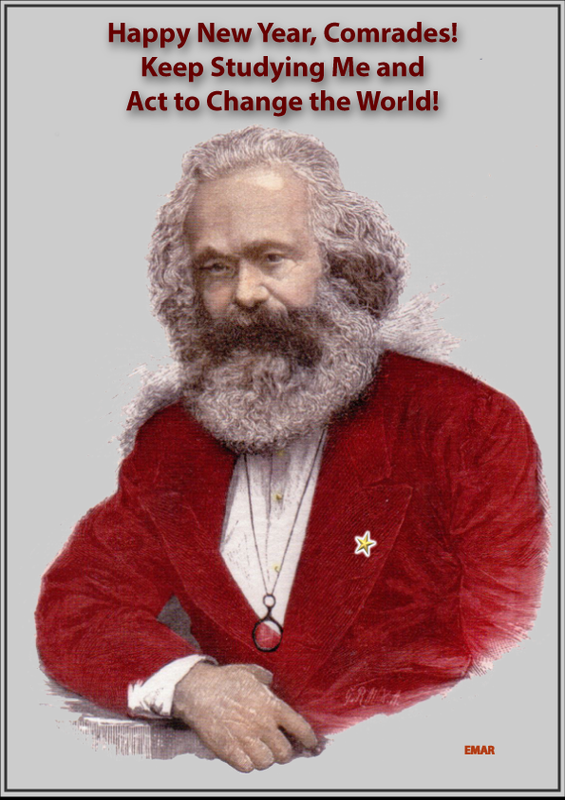 A number of Marx's key ideas about communist society and how to get there have been distorted by twentieth century socialists. 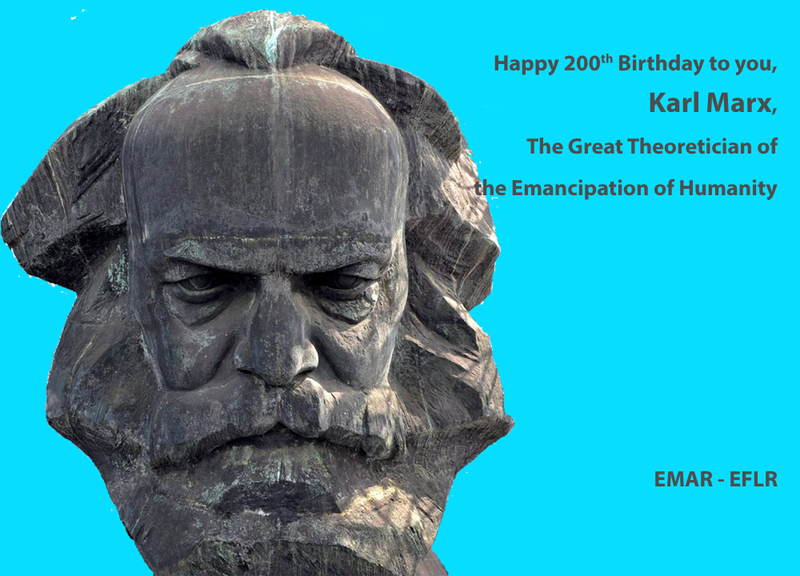 A politics of human emancipation fit for the twenty-first century should build on Marx's original vision. 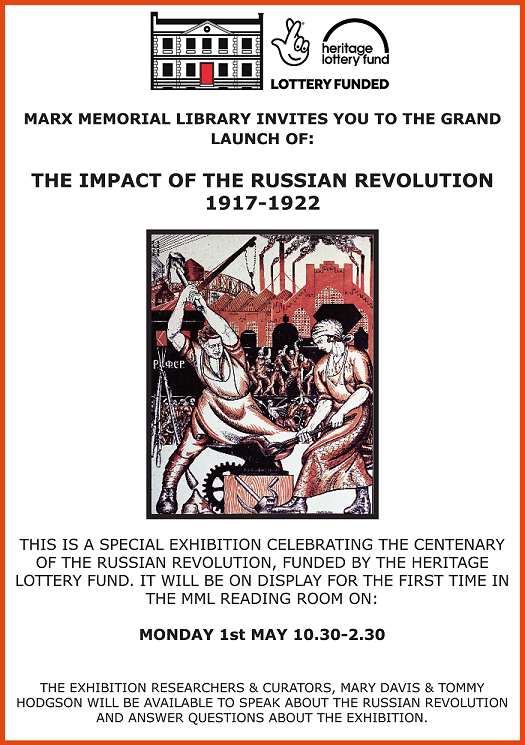 Marx conceived of communism (as he usually described the future society he envisaged - he generally reserved the term socialism for political trends he disagreed with) and the transition to it as an emancipatory journey. 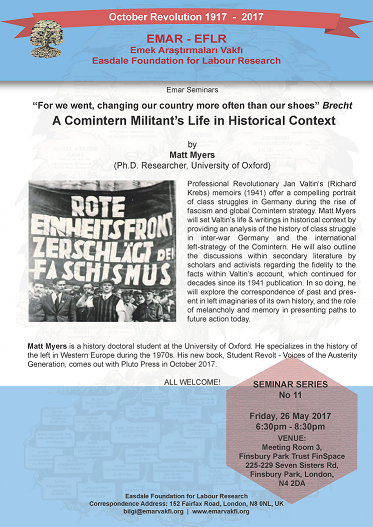 Specifically that the transition to communism involves ending the separation between state and citizenry and the withering away or dissipation of the repressive functions associated with the state (although the administrative functions currently performed by the state will still be necessary in any society). We have to take the transition to the future society very seriously. 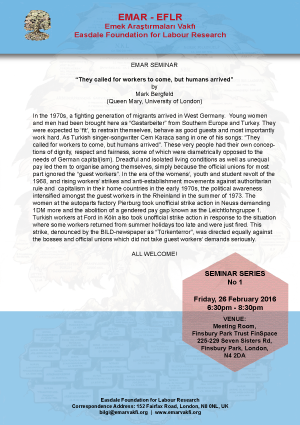 The development of democratic and participatory forms is more critical than nationalisation. State ownership (although potentially a transitional form) is not the same thing as socialisation. 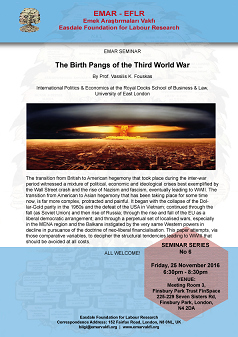 The fifth meeting in the EMAR Seminars Series was done on Friday, October 28th 2016 at Meeting Room 3, Finsbury Park Trust FinSpace N4 London. 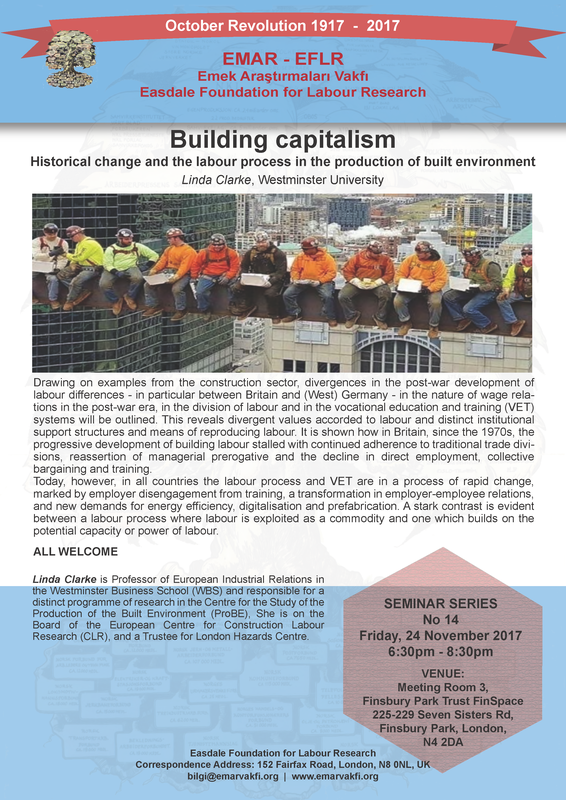 Prof M. Sehmus Guzel spoke in Turkish on the “Consequences of the Emergency Regime (OHAL) on the Working Class Movement”. His speech was translated into English. Journalist Kumru Baser made an enlightening powerpoint presentation in English on the “Turkish Coup: What does R.T. Erdogan’s State of Emergency (OHAL) mean for women?” and EMAR Representative Mumin Koseoglu, spoke on “Turkey’s New State of Emergency (OHAL) from A Global Perspective”. The moderator was Prof Bulent Gokay from Keele University. Except the obvious lack of enough time for such a big panel discussion and certain difficulties of simultaneous interpretation in Turkish - English, the meeting was successful. As the topic is telling us a continuity in development and yet unfinished political change in the country, it would not be wrong to assume that there will be many more meetings on the topic in the future. The links for video, pictures, summary of presentations at the meeting can be found on our website. 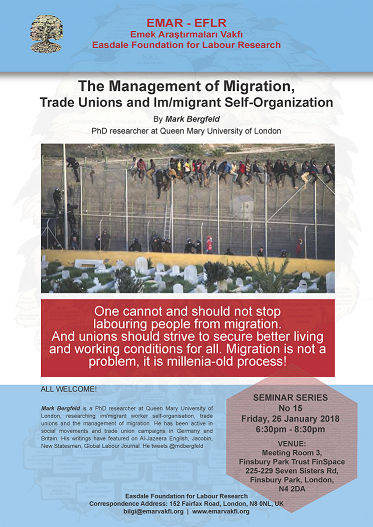 Prof Dr M. Sehmus Guzel is an internationally renowned expert on the history of working classes and trade unions in Turkey, researching this topic since the 1970s. He is the author of many books, among which are Turkiye’de İşçi Hareketi, 1908-1984 [Workers Movement in Turkey, 1908-1984] and İşçi Tarihine Bakmak [Looking at Workers History]. Prof. Guzel is continuing his work in France since 1982. 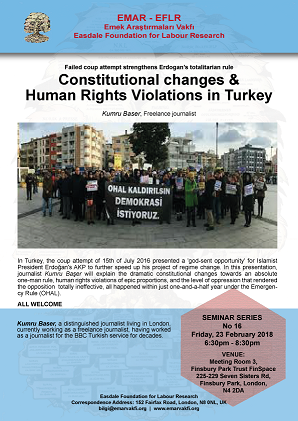 Kumru Baser is a distinguished journalist living in London, who worked as a regional analyst for the BBC Turkish service for decades, currently working as a freelance journalist. Mumin Koseoglu, is an ICT Engineer living in London since 1990s, is a founder of EMAR. He worked at metal workers’ union Maden-Is before the 1980 military coup and was jailed after the 1980 military coup. 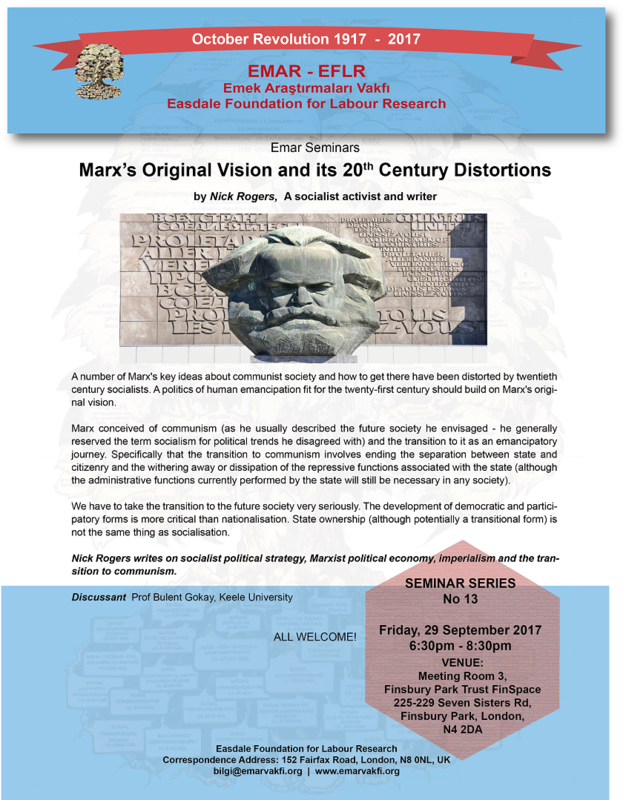 EMAR Seminar, no.4, happened on Friday, 30 September, in our usual venue at Finsbury Park Trust FinSpace. 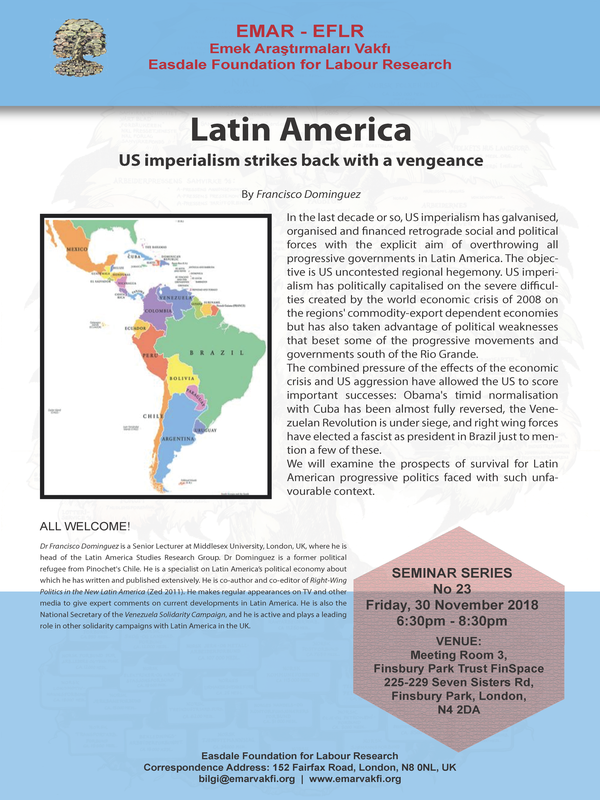 The first seminar of this new academic year was on Friday, 30 September. 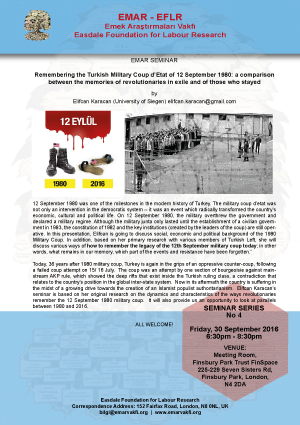 Our speaker, Dr Elifcan Karacan, presented a very original paper based on her research on the generation of revolutionaries suffered under the oppression of 12 September 1980 military coup d’etat in Turkey. 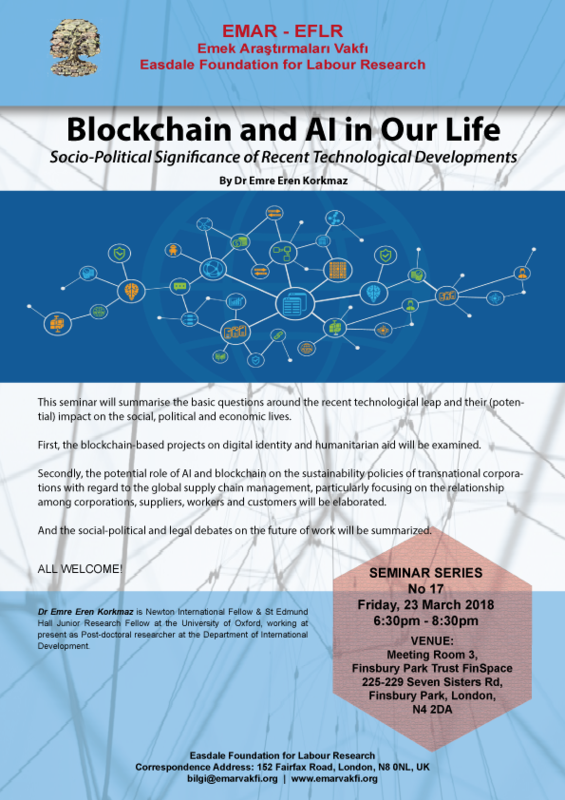 Elifcan undertook primary research, for her PhD thesis in University of Siegen, Germany, by interviewing two groups of left-wing activists: those who had to leave Turkey and spent decades on exile, and those others who stayed in Turkey and suffered arrest, torture and long prison sentences. 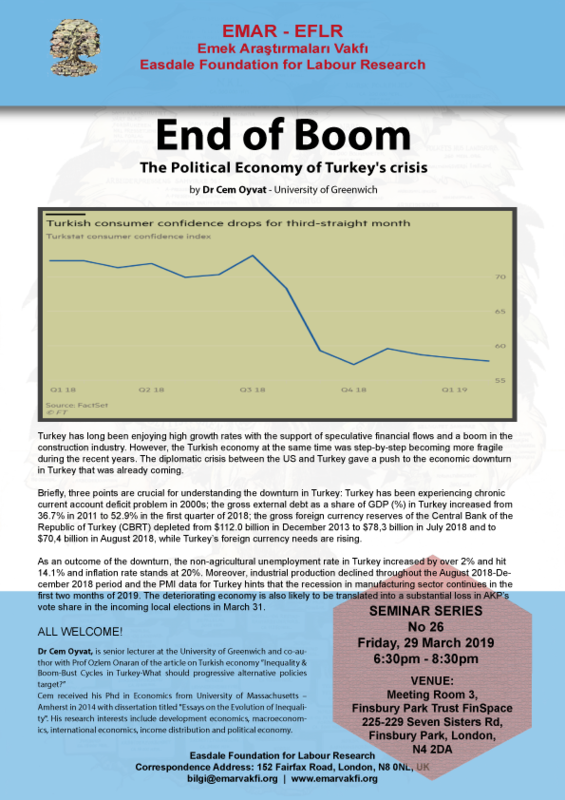 Elifcan Karacan, in her presentation about the remembrance of the 1980, talked about the historical background of the coup in a global context as well as internal political and economic dynamics. 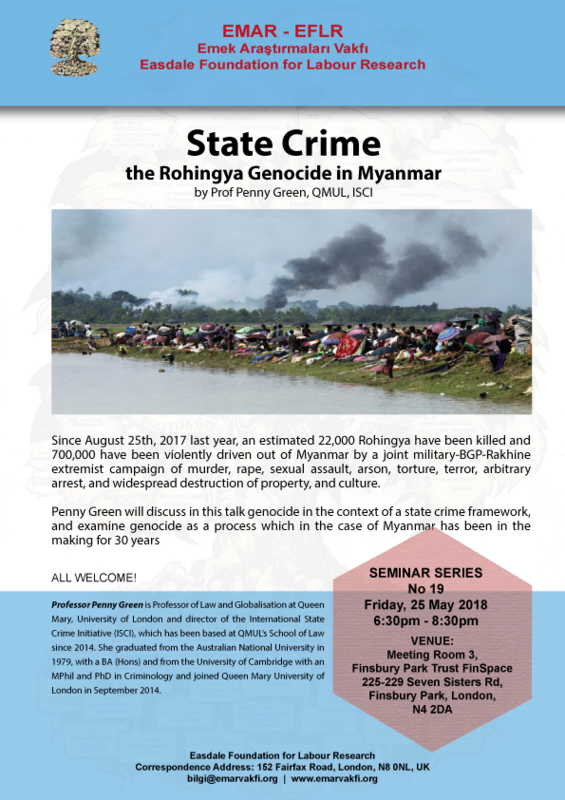 By presenting some examples from her empirical research she talked about the main characteristics of remembering the past of the 12 September 1980. Elifcan argued convincingly that the memory is socially reconstructed and therefore the narratives of the past should be understood within their existing and past social frameworks, and that’s why significantly different experiences of those who stayed and those who left the country shaped their memories of the coup d’etat. There was a very lively participation by the audience and questions and comments touched key aspects of the topic. 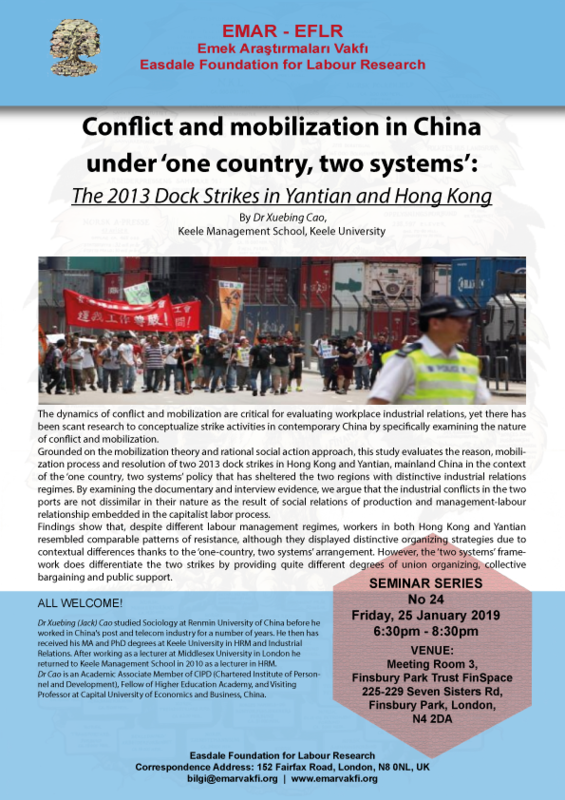 Dear Friends, we had to cancel our June 2016 Seminar (Arap Uprisings, Labour Movements, and the Quest for Socio-Economic Justice” programmed and announced to be given by Dr Ilia Xypolia, University of Aberdeen) as the speaker cannot attend the meeting due to some urgent family emergency. 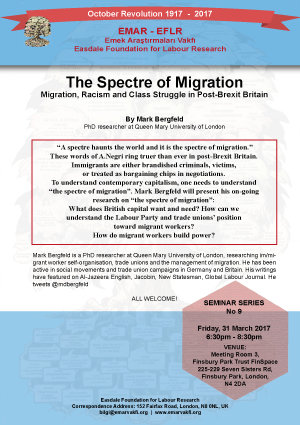 We're looking forward to meeting you all in September 2016, with our first seminar after the summer break. Wishing you all a nice summer break. 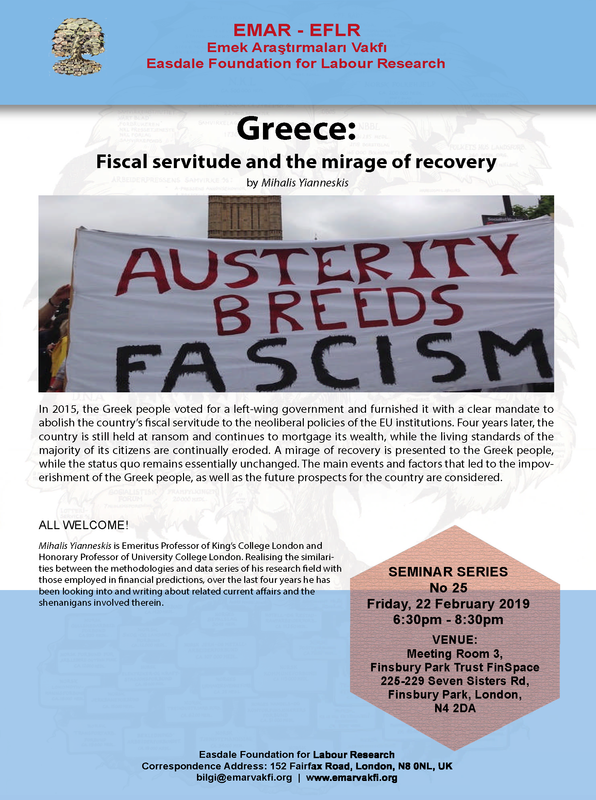 EMAR Seminar, no.3, on “Is there an alternative to austerity? 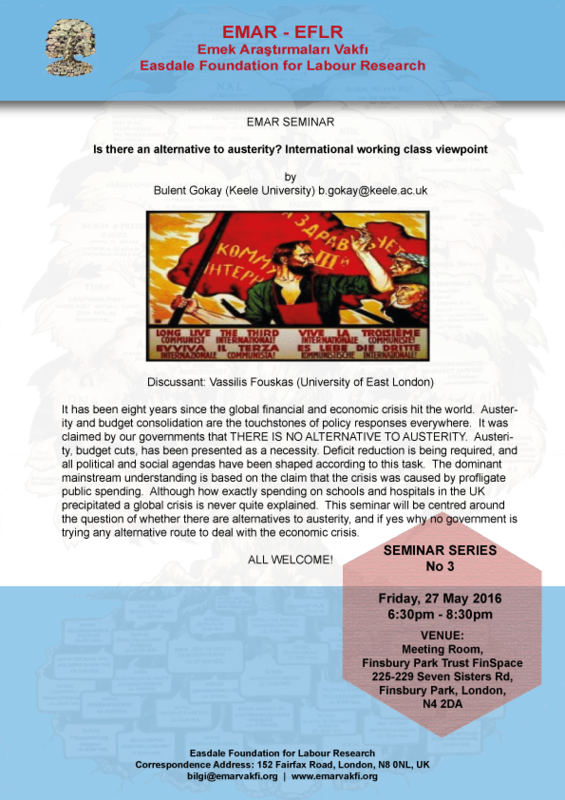 International working class viewpoint” happened on Friday, 27 May, in our usual venue at Finsbury Park Trust FinSpace. 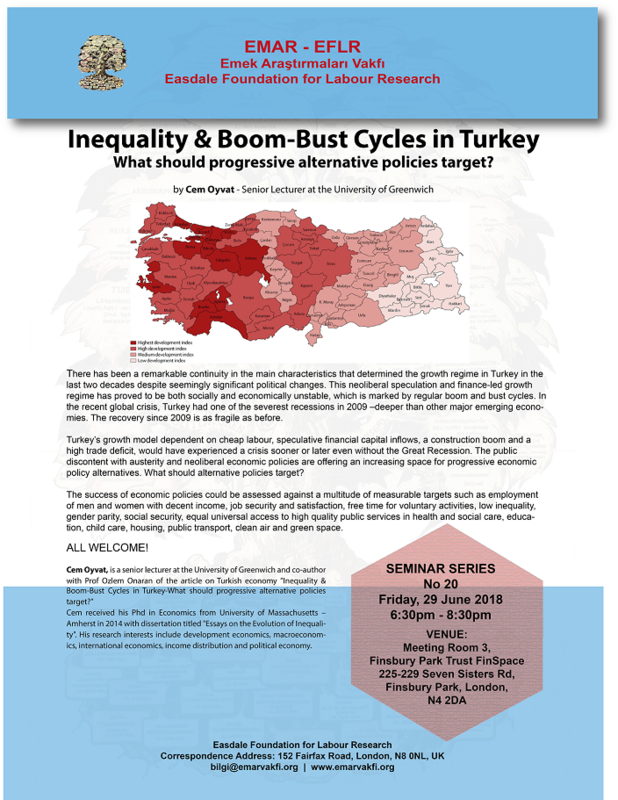 Bulent Gokay's talk was on the meaning and consequences of austerity policies implemented by the British and other Western governments as a response to 2007-08 global financial crisis and economic downturn. 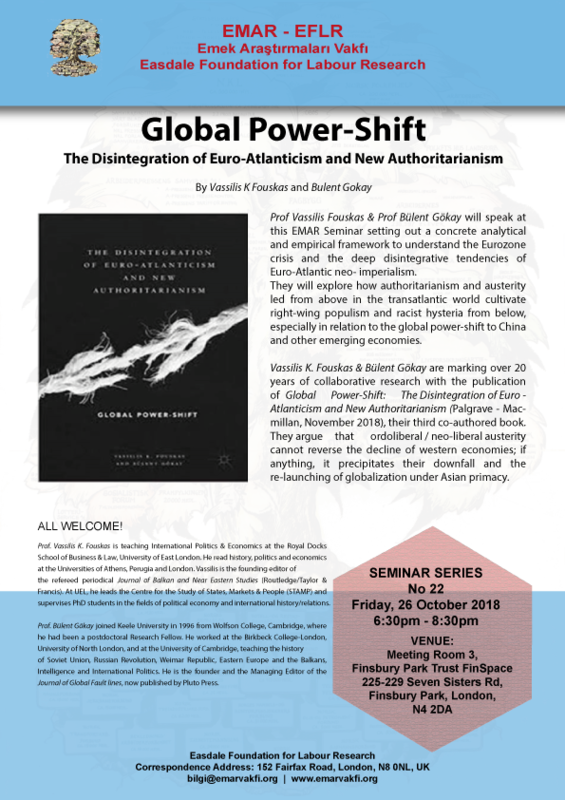 Bulent first explained the conditions emerged as a result of the global crisis, and on what justificantion austerity policies were presented by neoliberal governments as the only effective method to deal with the situation. 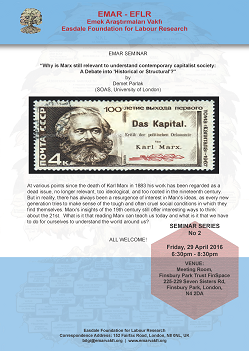 EMAR Seminar, no.2, on “Why is Marx still relevant to understand contemporary capitalist society? 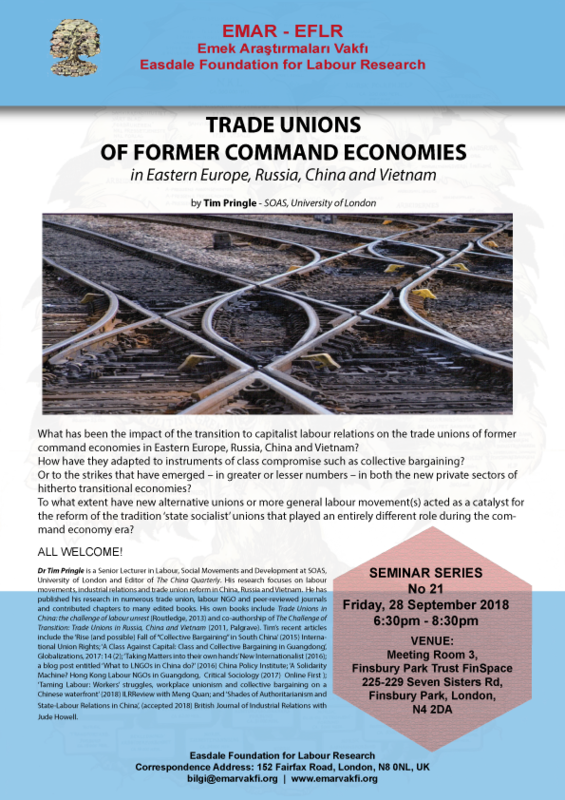 A Debate into 'Historical or Structural'?” happened on Friday, 29 April, in our usual venue at Finsbury Park Trust FinSpace. Our speaker, Demet Parlak, gave an excellent talk on the origins of the debate among Marxists regarding the ‘historical’ and ‘structural’. 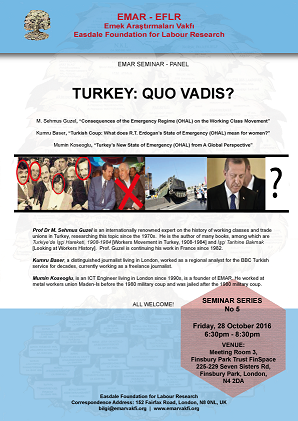 Demet, a researcher from Marmara University currently a visiting scholar at SOAS, explained the controversy between E. P. Thompson (exemplified in The Poverty of Theory) and Perry Anderson during the late 1970s over the structural Marxism (of Louis Althusser), and summarised the use of history and theory in the politics of Marxist Left since then. 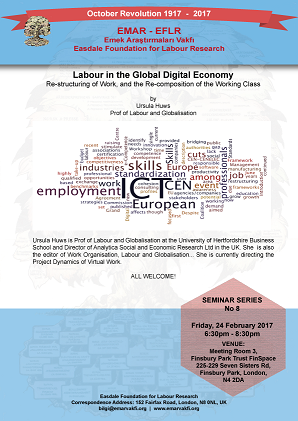 At this stage of our EMAR work on “Working Class of Turkey – Numbers and General Framework for Unionisation”, the tables, graphics and piecharts have been prepared, updated by the end of March 2016 and uploaded to the website. 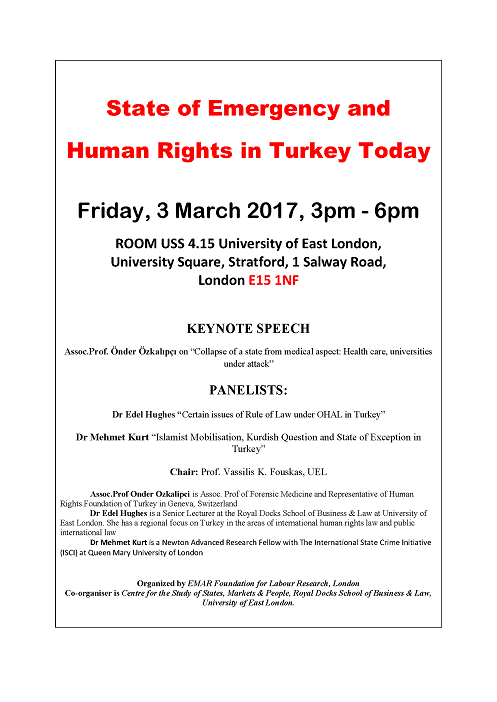 On behalf of Easdale Foundation for Labour Research (EMAR), we strongly oppose the recent ongoing attacks on academic freedom in Turkey. Our world is passing through a major deep transformation period. The Trustees of EFLR have decided on the meeting of 18.02.2014 to give start to two projects. 2.) The Digitisation of mainly Union publications from Turkey, to create an E-Collection at the Archives of EFLR Library.